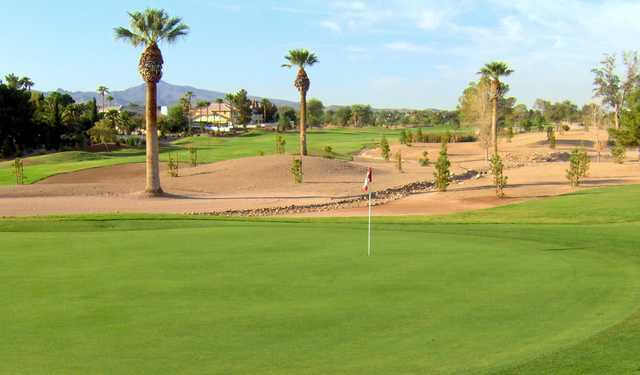 Wildhorse Golf Club is home to one of the toughest golf holes in Southern Nevada as well as a great venue for golfers of all abilities. Originally built in 1959, the course was redesigned in 2004 by architects Brian Curley & Lee Schmidt, featuring several holes guarded by shimmering lakes. 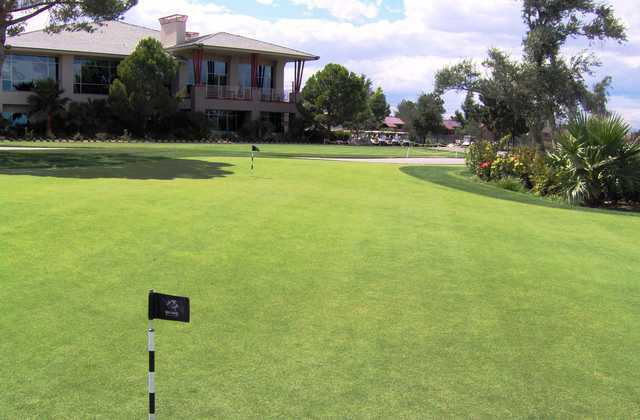 The championship, par 70 layout is a local’s favorite, and a former stop on the PGA Tour. 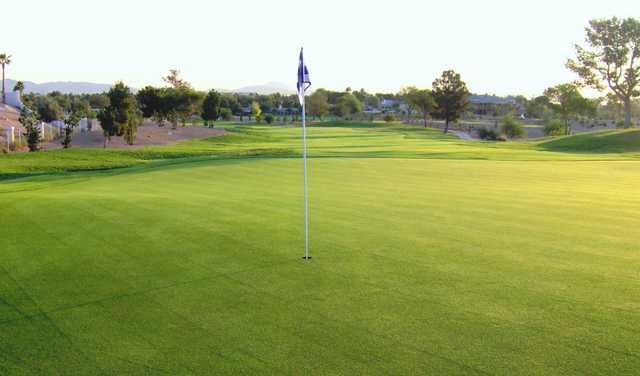 Wildhorse Golf Club offers an enjoyable round of golf at an affordable price. 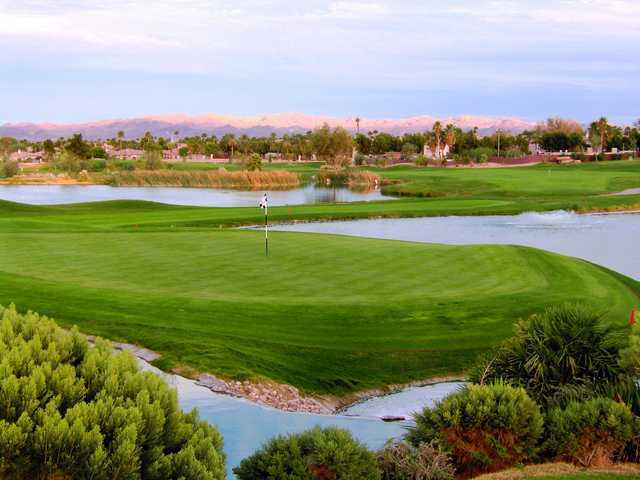 The 9th hole, a par 4 measuring 398 yards, and was named the toughest hole in the Las Vegas area by the staff at Vegas Golfer Magazine. Length as well as placement off the tee is essential. Too short, and golfers face a long-iron approach shot into a green that is fronted by a second lake. The right side of the fairway is also closely guarded. If that isn't enough, water comes into play behind the green, leaving the only bailout to the right. 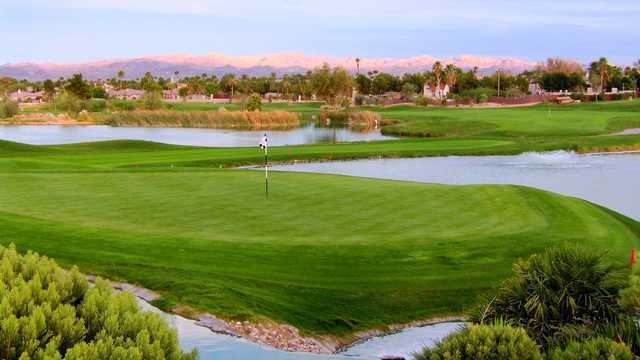 One of the finest and toughest golf holes in Southern Nevada, this one has golfers coming back for more.